Do you struggle with developing a purposeful and profitable life for yourself while doing what you love? Is your current space filled with clutter in which you desire clarity to move forward strategically while building a lucrative brand? Or perhaps you are currently living your dream life but feel stuck and desire to shift to the next level of success. If you answered yes to any of the above questions Trailblazer Coaching will be a great way to re-position you from living a life of struggle to experiencing true fulfillment! Carla is a Marketplace Ministry Strategist whose mission is to help others excel both personally and professionally while maintaining their commitment to Christ as a Christian. While on the path to success many are forfeiting Kingdom Principles to experience secular success while robbing themselves of inner peace in the process. What sets Trailblazer Coaching a part is Carla relies not only on on her natural abilities and training as a professional coach, but also on her supernatural ability to tap into the spiritual component (which is the true essence of who you are) and uses that to help her clients dig deeper as it relates to operating in their life purpose. Carla has also experienced tremendous success as a speaker, trainer, author and entrepreneur. Up to date she has written and published (8) books in which each have become internationally best-selling books. She has hosted (2) successful tours in the past two years in which she traveled across the globe unlocking, unleashing and activating others into purpose. She has coached dozens of individuals on how to write a book to launch their business by sharing her strategic 10 Step Process on how to Write Like a BOSS! Carla not only serves and trains others on how to experience success both personally and professionally but also how to define and experience success on their own terms. Clarity on your assignment and overall vision as well as receive thought provoking feedback that will help steer you in the right direction. Carla listens to your needs and helps you search within yourself to find the very answers that have been there all the while. Carla also teaches you how to be more dependent on Holy Spirit as your Master Coach & trust His voice as you journey throughout life. Are serviced based aspiring or established entrepreneurs, coaches, consultants or developers. Ministry leaders who desire to expand their message to the masses. Refuse to make excuses as to why they can NOT live the life of their dreams NOW! Clueless as it relates to building a brand, developing a following and expanding your network. Learn how to transform their darkest hours into a thriving business/organization by confidently sharing their story from a place of power rather than pain and pity. Expand your brand to the masses by developing an area of specialty. ​Coaching is a simple yet effective form of personal development where the client and coach create an alliance that promotes and sustains the client’s personal growth and competence. This powerful relationship enables the client to give up who they are, for who they want to become. The job of the coach is to help get them there. A coach is one who will facilitate the exploration of needs, motivations, desires, skills and thought processes to assist the individual in making real, life altering changes. A coach uses questioning techniques to facilitate client’s own thought processes in order to identify solutions and actions rather than takes a wholly directive approach. A coach observes, listens and asks questions to understand a client’s situation with a purpose of understanding where they are and offering solutions on how to get them on their path to destiny. The coach aids the client in finding out what is important and what helps to create a purposeful life that promotes their qualities or ideals; thereby enabling the client to live a fuller and richer life. Coaching helps the client identify what is important and how to use their skills to foster it. Coaching also helps build skills and abilities for effective relationships –personal and professional. Coaching identifies when teamwork is important and helps the client to develop their skills. Coaching also paves the way for more effective decision making in both the client’s personal and professional life in order to create higher levels of organizational effectiveness. Coaching works with the client to improve their communication skills through dialogue, inquiry, and positive interactions that create awareness, purpose, competence and well-being. Coaching is beneficial in many ways; such as having someone to believe in you, help get you from where you are to where you desire to be, be a mentor to you, someone who is accessible and offers sound advice (never telling you what to do.) However, coaching provides you with choices as it relates to decisions we make in our lives daily. Accountability - Momentum - Breakthroughs - Support -Planning -Structure - Self-Coaching - Focus -Acceleration - Expertise -Solutions -Feedback -Perspective -Brainstorming -Affirmation - Instruction & more! Coaching with Carla has given me so much clarity of who I am as well as my purpose. After coaching with Carla, my level of confidence went from 0 to 10! She shared so many tools and strategies as it relates to defining the pearl within me. She taught me how to get out of my own way in order to receive full manifestation of what God has promised for my life. I'm very encouraged and coaching with her, you will be too! I began coaching with Carla during a time I was in search of my true identity. She reminded me of the importance of loving myself and being confident in who I was created to be. She also taught me how to transform my pain into power through writing my book. I recommend you to begin coaching with Carla! It will change your life! Carla offers laser focused coaching! This approach helped me tremendously as I launched my business. During our sessions Carla provided practical steps that I implemented immediately to attract clients and provide value rich content to my programs. I was able to discuss concepts from my business courses and strategize with Carla on how those “broad” concepts fit into my specific goals. Carla has been one of the best investments I made in myself and in my business. Prior to Coaching with Carla, I was paralyzed with fear, uncertainty, and procrastination. This state of mind kept me stagnant from graduating to the next level in my call of duty- which is inspiring women from all walks of life. 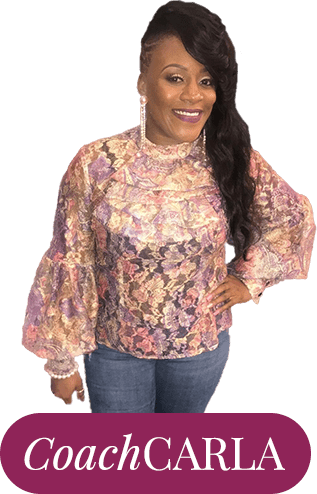 Carla's God-given wisdom nuggets, re-branding solutions, and education on business development was like Windex to a foggy vision. 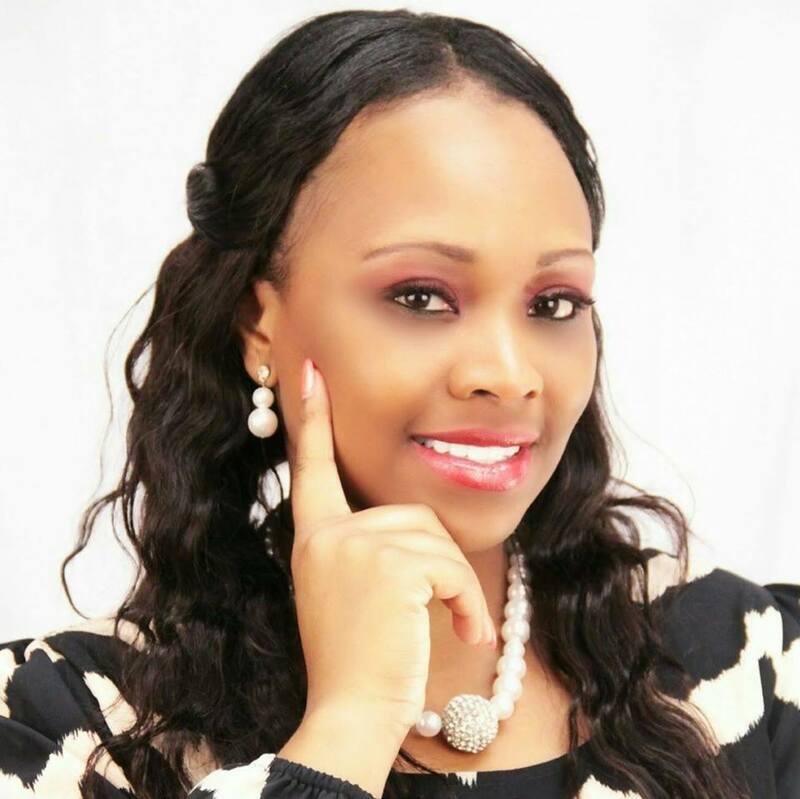 This Woman of God is truly fulfilling her purpose in helping other women entrepreneurs take it to the next level. 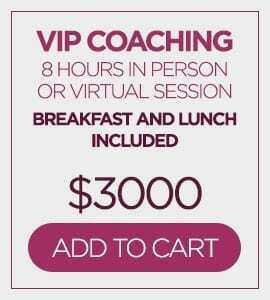 I benefited tremendously from her coaching and would recommend any woman who’s serious about becoming her very own COO to do the same. Carla was both professional yet relatable- now that is a rare attribute! Are you ready to get unstuck, gain clarity & move forward in your full potential? Sign up today!